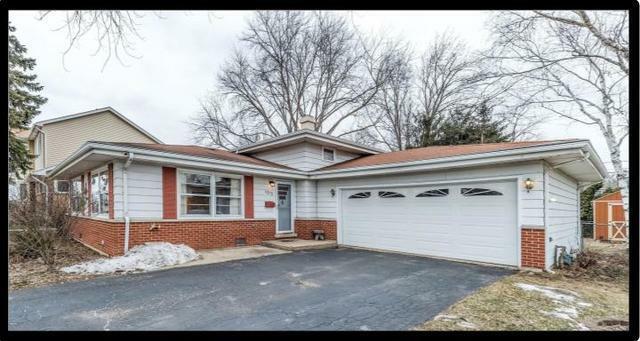 Pristine 3 bedroom, 2 full bath home has been lovingly maintained and is ready for the next family to enjoy. Freshly painted Interior & Exterior. New Carpet. Welcoming Foyer with slate tile & a great knee wall feature that leads you to a sun drenched Living & Dining Room. Large eat in kitchen includes wonderful island that has great storage/ work center. Professionally painted cabinets. Sellers willing to negotiate a CCC that can be used for new appliances. Bedrooms have hardwood floors & ceiling fans. Master BR entrance to shared hall Bathroom. Lower Level Family Room has laminate flooring, recessed lighting, amazing closets with organizers for pantry, games etc. An updated full bathroom and a large multi functional Laundry Room. Crawl has concrete floor for storage. Fully fenced yard. Gutter Guards Large driveway with attached 2.5 car garage with newer door & newer garage door opener. Awesome Shed. Close to schools, shopping. WALK TO METRA TRAIN LOCATION.